Looking to start geography lessons with your toddler in a Montessori sensible way? This beautiful Wool Felt Geography Learning Tool can help! Handmade by Etsy shop Handmade by Aly, this lovely soft wool toy offers up all the shapes of the continents plus a handcrafted set of continent pillows. This is a perfect tactile experience for little hands, and as kids get a little older the hand-embroidered text helps prompt reading skills too. The set comes with 7 continent pillows made with high quality wool felt colors, designed in accordance with the color-coded Montessori map, 5 felt tags for each of the five oceans and a mat of bright blue wool felt that’s been backed with cotton muslin. Plus this set is travel-friendly, as it comes with muslin ties attached to the mat so you can roll it up and store it, along with a handy muslin drawstring bag. All items in this shop are made to order and teachers get a special 15% off their entire purchase when shopping for the classroom. Simply enter coupon code 4MYCLASSROOM when you check out. Looking to start geography lessons with your toddler in a Montessori sensible way? This beautiful Wool Felt Geography Learning Tool can help! Handmade by Etsy shop Handmade by Aly, this lovely soft wool toy offers up all the shapes of the continents plus a handcrafted set of continent pillows. This is a perfect tactile experience for little hands, and as kids get a little older the hand-embroidered text helps prompt reading skills too. 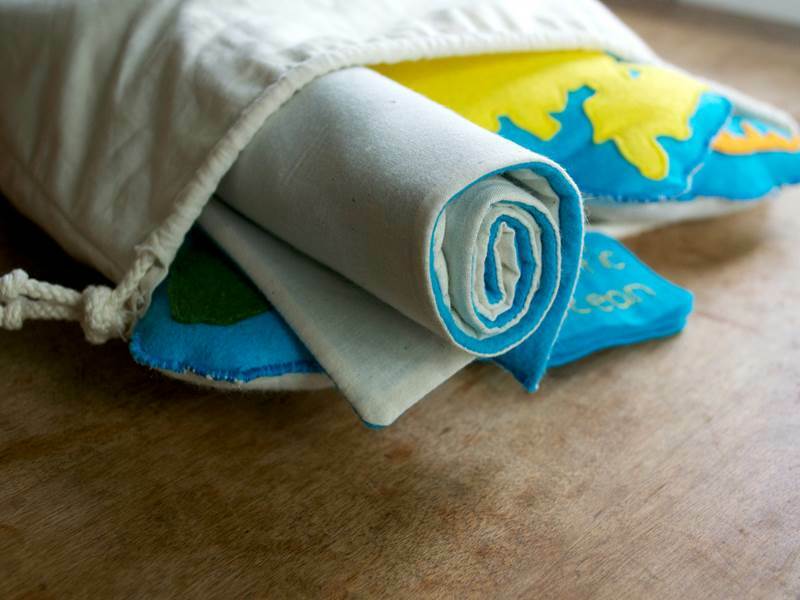 The set comes with 7 continent pillows made with high quality wool felt colors, designed in accordance with the color-coded Montessori map, 5 felt tags for each of the five oceans and a mat of bright blue wool felt that's been backed with cotton muslin. Plus this set is travel-friendly, as it comes with muslin ties attached to the mat so you can roll it up and store it, along with a handy muslin drawstring bag. All items in this shop are made to order and teachers get a special 15% off their entire purchase when shopping for the classroom. Simply enter coupon code 4MYCLASSROOM when you check out.